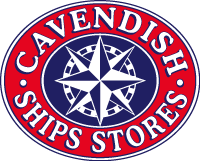 Welcome to the Cavendish Ships Stores Ltd website. The term Cavendish Ships Stores Ltd or “us” or “we” refers to the owner of the website whose registered office is 40 West Market Building, Smithfield, London, EC1A 9PS. The term “you” refers to the user or viewer of our website. You may not create a link to this website from another website or document without Cavendish Ships Stores Ltd’s prior written consent. 1.1 In these conditions “the Company” means Cavendish Ships Stores Limited, whose registered office is at 40 West Market Building, London Central Markets Smithfield, London EC1A 9PS and “the Customer” means the person, firm or company to whom an acknowledgement of order is addressed. 1.2 Subject to sub-clause 1.3 below, “the Goods” means the goods the subject of this order. 1.3 Where the contract is for the provision of services, the words “the Goods” shall be read, where the context permits, as meaning the services which the Company has contracted to provide. 2.1 These conditions shall form the basis of the contract between the parties. Notwithstanding anything to the contrary in the Customer’s standard conditions of purchase, these conditions shall apply except so far as expressly agreed in writing by a person authorised to sign on behalf of the Company. 2.2 No servant or agent of the Company has power to vary these conditions orally, or to make representations or promises about the condition of the Goods, their fitness for any purpose or any other matter whatsoever. 2.3 Unless otherwise expressly stated in writing, all quotations and estimates by the Company are invitations to treat. The Customer’s order is an offer, which offer will be accepted by the Company delivering an acknowledgement of the order. 2.4 The acceptance by the Customer of all or any of the Goods shall constitute acceptance by the Customer of these conditions. 2.5 The Company will provide the Goods at the request of any representative of the Customer, unless otherwise instructed in writing by the Customer. 2.6 The construction, validity and performance of these conditions and this order (and any non-contractual disputes or claims) shall be governed by English Law and the parties irrevocably submit to the non-exclusive jurisdiction of the courts of England and Wales. 2.7 These general conditions shall be subject to such further special conditions as may be prescribed in writing by the Company. 2.8 In the event of any conflict, or apparent conflict, between the special conditions and these general conditions, the special conditions shall prevail. 2.9 These conditions supersede all previous trading terms issued by the Company. 2.10 The Company may at any time assign, transfer, charge, subcontract or deal in any other manner with all or any of its rights under the contract and may subcontract or delegate in any manner any or all of its obligations under the contract to any third party. The Customer shall not, without the prior written consent of the Company, assign, transfer, charge, subcontract or deal in any other manner with all or any of its rights or obligations under the contract. 2.11 If a court or any other competent authority finds that any provision of the contract (or part of any provision) is invalid, illegal or unenforceable, that provision or part-provision shall, to the extent required, be deemed deleted, and the validity and enforceability of the other provisions of the contract shall not be effected. If any invalid, illegal or unenforceable provision of the contract would be valid, enforceable and legal if some part of it were deleted, the provision shall apply with the minimum modification necessary to make it legal, valid and enforceable. 2.12 All notices to be served under these conditions shall be served by first class pre-paid post, e-mail or facsimile message at the registered office or principal trading address of the intended recipient. Notices shall be deemed served when they would ordinarily have been received in normal business hours according to the means of transmission of such notices. 3.1 No cancellation or variation of the whole or any part of the order by the Customer or of this contract (including the introduction of any additional terms and conditions) is permitted, except where expressly agreed in writing by a person authorised to sign on behalf of the Company. 3.2 The consent of the Company to cancellation or variation of the order shall not in any way prejudice the Company’s right to recover from the Customer full compensation for any loss or expense arising from such cancellation or variation on an indemnity basis. 3.3 A waiver of any right under the contract is only effective if it is in writing and shall not be deemed to be a waiver of any subsequent breach or default. No failure or delay by a party in exercising any right or remedy under the contract or by law shall constitute a waiver of that or any other right or remedy, nor preclude or restrict its further exercise. No single or partial exercise of such right or remedy shall preclude or restrict the further exercise of that or any other right or remedy. 3.4 Where the Goods are returned by the Customer without the Company’s consent, they will not be accepted for credit. 4.1 Quoted prices are based on costs prevailing at the time when they are given or agreed and are exclusive of VAT. The Company shall be entitled to adjust the price of the Goods as at the time of delivery by such amounts as may be necessary to cover any direct or indirect price increase(s) sustained by the Company after the date of the quotation or order in relation to the supply and/or delivery of the Goods. 4.2 Unless specified to the contrary on the acknowledgement of order form the price for the Goods shall be met in GBP Sterling. 4.3 The price is exclusive of any applicable VAT or other sales taxes, which the Customer shall be additionally liable to pay to the Company. These will be added to all invoices at the rate applying at the appropriate tax point. 4.4 Prices do not include any charges for pallets or kegs upon or within which Goods may be delivered which pallets and kegs shall remain the property of the Company at all times. In the event that the Customer fails to return or make available any such pallets, in good condition, within 6 months following delivery of any such, the Customer shall indemnify the Company in respect of the cost to the Company of such lost or damaged pallets or kegs. 5.1 Unless the sale is for cash, or other credit terms have been expressly agreed, all accounts are due for payment 30 days following the date upon which the Goods are delivered. 5.2 If any payment which has become due is not paid in accordance with credit terms, all sums payable to the Company by the Customer in respect of the Goods or otherwise shall become due and payable immediately, without requirement for any notice to be given. 5.3 The Company reserves the right to charge interest at 8% per annum above the base rate from time to time in force of Barclays Bank Plc on all overdue accounts, together with compensation for the costs suffered by the Company arising from late payment, in accordance with its rights under the Late Payment of Commercial Debts (Interest) Act 1998. 5.4 The Customer shall not be entitled to withhold payment of any amount payable under this order by reason of any dispute or claim by the Customer. 5.5 The Customer shall not be entitled to set off against any amount payable under this order any amount due by the Company to the Customer under any other agreement. 5.6 In the case of short delivery, partial delivery or delivery of defective Goods, the Customer shall remain liable to pay the full invoice price of all Goods delivered or available for delivery. 5.7 The Company reserves the right at any time at its discretion to demand security for payments before continuing with or delivering any of the Goods notwithstanding any subsisting agreement to provide credit to the Customer. 5.8 The Customer shall reimburse to the Company the entire cost of representing any cheque or other instrument delivered to it in payment of any sum due by the Customer. 5.9 Without prejudice to any other rights of the Company, if the Customer shall fail to make punctual payments of any sum under any contract between the parties, the Company may, at its option, either withhold delivery of the Goods until the total indebtedness of the Customer to the Company has been discharged, or cancel this order. 5.10 All legal costs and expenses properly incurred by the Company in seeking to collect overdue invoices from the Customer or otherwise to enforce its rights under this contract will be recoverable from the Customer on an indemnity basis. 6.1 Subject to clause 10, if it is specified on the acknowledgement of order form that the Company is to deliver or procure delivery of the Goods to a location set out in the order or such other location as the parties may agree, delivery will be completed on the Goods’ arrival at such delivery location. Subject to clause 10, if it is specified on the acknowledgement of order form that the Customer is to collect the Goods from the Company’s premises or such other location as may be advised by the Company prior to delivery, delivery will be completed on the completion of loading of the Goods at such location. 6.3 Delivery dates are given in good faith but are not guaranteed and no liability will be accepted for any loss whatsoever suffered or caused through late delivery or non delivery and time of delivery shall not be of the essence. 6.4 The Company reserves the right to make delivery by instalments and tender a separate invoice in respect of each instalment. 6.5 Subject to clause 10 and unless specified to the contrary on the acknowledgement of order form, the order price includes the cost of delivery by the Company to the Customer’s premises as specified on the acknowledgement of order form in one delivery, on week days other than Bank Holidays (“Business Days”) during normal working hours. Any deliveries made at the Customer’s request outside normal working hours, in instalments, or on non-Business Days, will be subject to additional charges. 6.6 The Customer shall provide, at its own expense, the labour necessary for unloading the Goods, such labour to be available during normal working hours on the day notified by the Company for delivery. The Customer shall unload the Goods with reasonable speed. If the Company’s delivery vehicle is kept waiting for an unreasonable time or is obliged to return to the Company without completing delivery through lack of assistance or if additional staff have to accompany the Company’s driver to unload the Goods, an appropriate additional charge will be made. 6.7 If the Customer fails to take delivery of the Goods within two Business Days of the agreed delivery date or, if no specific delivery date has been agreed, when the Goods are ready for delivery, the Company may, after giving reasonable prior notice in writing, resell or otherwise dispose of all or part of the Goods and, after deducting reasonable storage and selling costs, charge the Customer the gross profit that the Company would have made had the Customer taken delivery and paid for the Goods. 6.8 If the Customer fails to take delivery or collect on the agreed delivery date or, if no specific delivery date has been agreed, when the Goods are ready for dispatch, the Company shall be entitled to store and insure the Goods and to charge the Customer the reasonable costs of so doing. The date upon which the Goods are made available for delivery or collection shall be deemed to be the delivery date for the purposes of sub-clause 6.1 above. 6.9 The Customer shall procure the signature of the Company’s delivery note as acknowledgement of delivery of the Goods specified on the delivery note. 6.10 The Company will deliver the Goods as near as possible to the delivery address as a safe hard road permits. The Company reserves the right to refuse to deliver Goods to premises considered at the discretion of the Company to be unsuitable. 6.11 If the Customer wishes to claim that there is any shortage on the delivery of any Goods, the Customer shall give notice in writing to the Company within 2 Business Days of delivery, or within 2 Business Days of non-delivery if the Goods are not delivered on the anticipated delivery date, failing which the Goods shall be deemed to have been delivered and in accordance with the delivery documents. 6.11.2 If short delivery is complained of, the Company shall be under no liability in respect of the claim unless a reasonable opportunity to inspect the Goods is provided to the Company before any use is made of the Goods by the Customer. 6.11.3 The liability of the Company for short delivery shall be strictly limited to the provision of any Goods not delivered. 7.1 Risk in the Goods shall pass to the Customer when the Goods are delivered to the Customer. 7.2 The ownership of the Goods shall remain with the Company until the Customer has paid all liquidated sums owed by the Customer to the Company, whether in respect of this order or otherwise. 7.3 The Goods shall be stored on the Customer’s premises separately from any other goods and the Customer shall not interfere with any identification marks or serial numbers on the Goods. The Customer shall maintain the Goods in satisfactory condition and keep them insured against all risks for their full price on the Company’s behalf from the date of delivery. 7.4 The Customer is licensed by the Company to use or agree to sell the Goods delivered to the Customer subject to the revocation of such authority in accordance with sub-clause 7.5 below. 7.5 Until title to the Goods passes, without prejudice to any other rights of the Company, the Company may at any time revoke the power of sale and use contained in sub-clause 7.4 above by notice to the Customer if the Customer is in default for longer than 14 days in the payment of any sum whatsoever due to the Company whether in respect of the Goods or otherwise or if the Company has bona fide doubts as to the solvency of the Customer, whereupon the Customer shall deliver up such Goods to the Company. 7.6 The Company may at any time recover and re-sell Goods in which title shall not have passed to the Customer. The Company by its servants and agents shall be entitled to access to the Customer’s premises or those to which the Customer has a right of access where the Goods or some of them are stored or thought to be stored for the purpose of re-possession at any time. 7.7 Risk in the Goods shall revert to the Company following re-possession but not otherwise. 7.8 If the Customer shall become bankrupt or insolvent, or have a receiving order or administration order made against him or compound with his creditors, or, being a corporation, commence to be wound up, not being a members voluntary winding up for the purpose of reconstruction or amalgamation, or carry on its business under a receiver for the benefit of its creditors or any of them, or the Company has bona fide doubts as to the solvency of the Customer, all sums payable to the Company by the Customer in respect of the Goods or otherwise shall become due and payable immediately, without requirement for any notice to be given and the Company shall be released from its obligation to deliver such of the Goods as remain undelivered, save on terms acceptable to the Company, or if the Goods or any of them shall have been delivered, the power of sale and use contained in sub-clause 7.4 above shall be deemed revoked immediately, and the Goods shall be delivered up to the Company. 8.1 The Company warrants that on delivery the Goods shall conform in all material respects with their description. 8.2 If: the Customer shall give notice in writing to the Company within 2 Business Days of delivery that some or all of the Goods do not comply with the warranty set out in clause 8.1 (in the absence of which the Goods shall be deemed to comply); the Company is given a reasonable opportunity of examining such Goods; and the Customer (if asked to do so by the Company) returns such Goods to the Company’s place of business at the Customer’s cost, the Company shall, at its option, repair or replace the defective Goods, or refund the price of the defective Goods in full. 8.3 The Company shall not be liable for the Goods’ failure to comply with the warranty set out in clause 8.1 if: the Customer makes any further use of such Goods after giving notice in accordance with clause 8.2; the defect arises because the Customer failed to follow the Company’s oral or written instructions as to the storage, commissioning, installation, use and maintenance of the Goods or (if there are none) good trade practice regarding the same; the Customer alters or repairs such Goods without the written consent of the Company; the defect arises as a result of fair wear and tear, wilful damage, negligence, or abnormal storage or working conditions; or the Goods differ from their description as a result of changes made to ensure they comply with applicable statutory or regulatory requirements. 8.4 Save as set out in sub-clause 8.1, all warranties or other terms implied by statute or otherwise shall not apply to this order, including but not limited to those implied by the Sale of Goods Act 1979 (as amended by the Sale and Supply of Goods Act 1994), the Supply of Goods and Services Act 1982 and the Consumer Protection Act 1987. 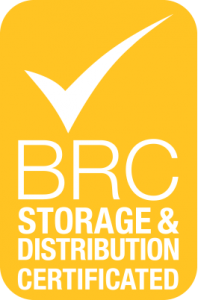 8.5 No guarantee can be given that Goods delivered will match samples submitted in all material respects, including but not limited to colour, size, weight and cut, as samples are drawn from bulk and are representative of the whole. 8.6 The Customer acknowledges that it has not relied upon any representations made during negotiations leading up to this order and, as such, accepts that it is not entitled to claim damages for misrepresentation. 8.7 The Company shall not be liable for any loss of profit, loss of goodwill, loss of business, loss of business opportunity loss of anticipated saving, loss or corruption of data or information, special, consequential or indirect loss suffered by the Customer or any third party in relation to this order and the Customer shall indemnify the Company in respect of any claim of any person in respect of such consequential or indirect loss. 8.8 This clause 8 constitutes the entire liability of the Company under this order which, in any event, shall not exceed the contract price of the Goods, other than as set out in sub-clause 8.9 below. 8.9 The Company’s liability for death or personal injury resulting from negligence shall be neither limited nor excluded. 8.10 The Customer shall indemnify the Company against any liability that the Company may incur as a result of a claim against the Company under the Consumer Protection Act 1987 in respect of an alleged defect in the Goods. 9.1 The Company shall not be liable for any failure to deliver or delay in delivery of the Goods arising from circumstances outside its control, including but not limited to lock-outs, fire, accidents, defective materials, delays in receipt of raw materials or bought-in goods or components. 10.1 In these conditions “Incoterms” means the International Rules for the Interpretation of Trade Terms of the International Chamber of Commerce as in force at the date when the contract is made. 10.2 Unless the context otherwise requires, any term or expression which is defined in or given a particular meaning by the provisions of the Incoterms shall have the same meaning in these conditions and the acknowledgement of order form but if there is any conflict between the provisions of Incoterms and these conditions, the latter shall prevail. 10.3 Except to the extent specifically indicated to the contrary on the acknowledgement of order form, where the Goods are supplied for export from the United Kingdom, the Customer shall be responsible for complying with any legislation or regulation governing the importation of the Goods into the country of destination. In particular, if any licence or consent of any government or other authority shall be required for the acquisition, carriage or use of the Goods by the Customer the Customer shall obtain the same at its own expense and if necessary produce evidence of the same to the Company on demand. Failure to do so shall not entitle the Customer to withhold or delay payment for the Goods. Any additional expenses or charges incurred by the Company resulting from such failure shall be for the Customer’s account. 10.4 Except to the extent specifically indicated to the contrary on the acknowledgement of order form, where the Goods are supplied for export from the United Kingdom, the Customer shall be responsible for the payment of any duties or taxes (arising from the export of the Goods from the United Kingdom into the country of destination) and shall indemnify and hold harmless the Company from and against any such liability to pay such duties or taxes and specifically shall be liable to pay the Company such duties and taxes if so required by the Company pursuant to these conditions. 10.5 The Company’s acknowledgement of order form shall set out the agreement between the Company and the Customer regarding delivery of the Goods – for example: FAS, FOB, CFR or CIF. 10.6 If the Goods are to be delivered FOB, the Company shall not be obliged to give the Customer the notice specified in Section 32(3) of the Sale of Goods Act 1979 (as amended). 10.7 If the Goods are to be delivered CIF, the Company shall procure a contract of carriage and insure the Goods from despatch until delivery on terms current in the trade for the benefit of the Customer. The Goods shall be at the risk of the Customer as they are loaded on board. The Company shall tender the Customer a clean shipped bill of lading, the insurance policy and an invoice in respect of the Goods. The Customer shall accept the documents tendered by the Company (assuming they correspond to the contract) and take delivery of the Goods and bear all other costs and charges arising out of shipment of the Goods. 11.1 No person who is not a party to this order shall have the right, under the Contracts (Rights of Third Parties) Act 1999 to enforce any term of these conditions. 11.2 The Customer shall not at any time during the period of two years commencing on the date of this order disclose to any person any information concerning this order, including but not limited to information relating to intellectual property and price information. 12.1 The Customer acknowledges its understanding and acceptance that information given by it to the Company, and information about its account(s) with the Company (“Information”) may be disclosed to: any member of the Company’s group; the Company’s bank and any member of its group; the Company’s insurer; any introducer of the Customer to the Company; and any credit reference agencies for use by the Company in credit assessment. The Company will use its reasonable endeavours to ensure that the Information is kept confidential. 12.2 The Company, other members of its group and the agents of such persons may (unless the Customer notifies the Company in writing otherwise) use the Information to inform the Customer about products and services which may be of interest to the Customer. 12.3 If the Company transfers the Information to any member of its group or any agent located outside of the European Economic Area for the purpose of facilitating business, the Company will use its reasonable endeavours to ensure that the Information is kept confidential. 12.4 The Customer can tell the Company in writing not to transfer the Information as set out above. Further details about the uses to which the Information will be put are available upon written request. A new Golden Age for craft brewing?